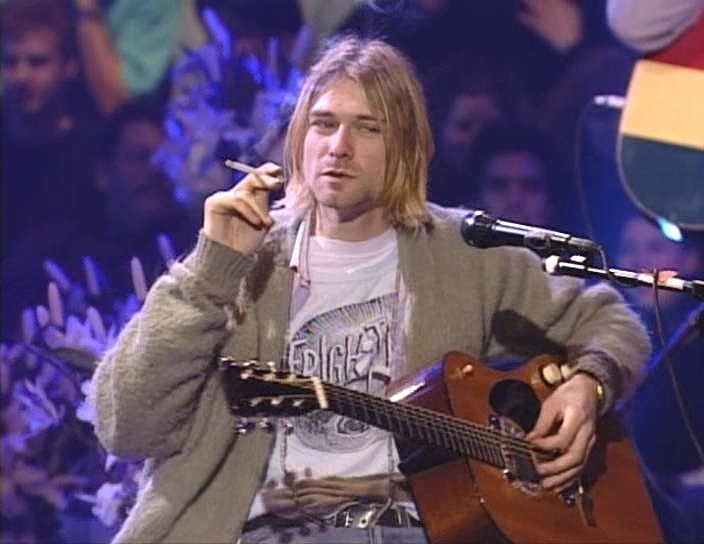 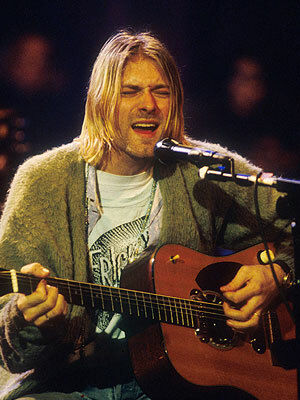 Kurt Cobain famously wore an old green cardigan sweater for the Nirvana MTV Unplugged show filmed on November 18, 1993. 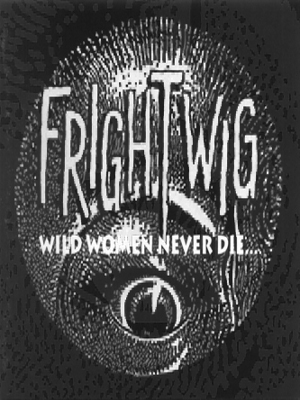 What most people didn’t notice was that under the green cardigan he wore a shirt from an all girls band from the 1980’s called Frightwig. 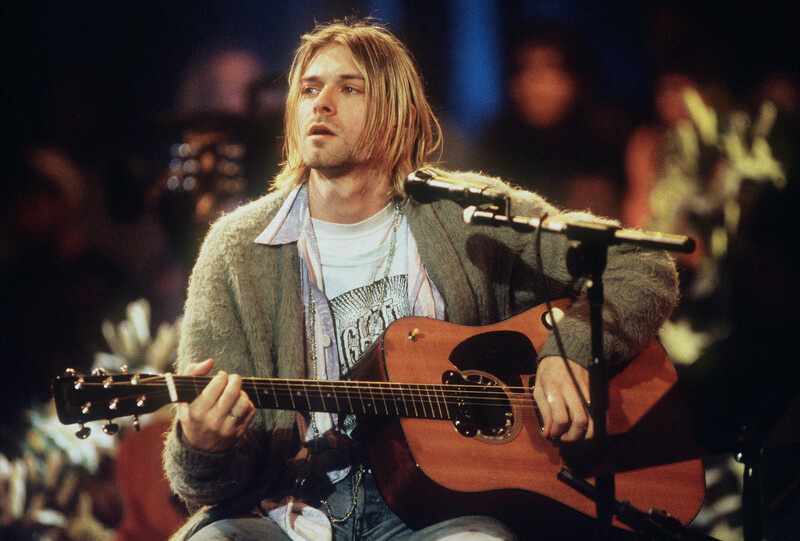 Kurt was a fan of the band and many Nirvana fans have gone so far to speculate that he wore the Frightwig shirt to bother his wife Courtney Love and make her jealous. 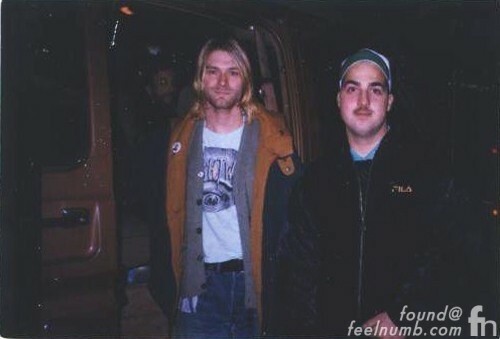 Here’s Cobain backstage after the show still wearing the Frightwig shirt. 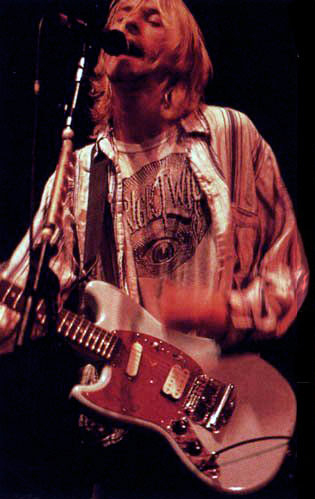 I found a photo of Kurt wearing the Frightwig shirt at a concert in 1993 months before the MTV Unplugged show.